Do you ever wonder how people, more specifically, men, can pull off light colored tuxedos and light colored tuxedo jackets? 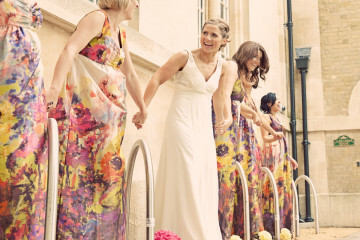 Well turns out, there are numerous ways of pulling it off! 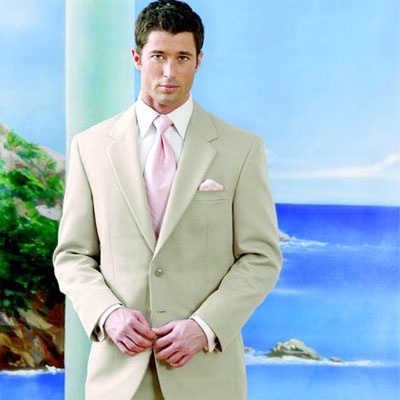 These men below achieve the light colored tuxedo jacket wear with different colors, types, and styles. 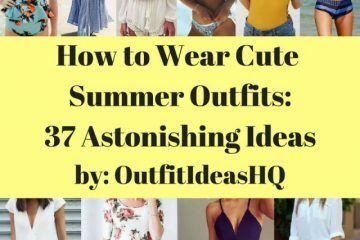 Read and look below to get these outfit ideas! Pull off a classy all white tuxedo with a white tuxedo jacket, white pants, light colored dress shirt, and an accented colored bow tie to pull everything together. This guy has the tan colored jacket wear look going for him. Top it off with some sunglasses and you’ll look snazzy to go! 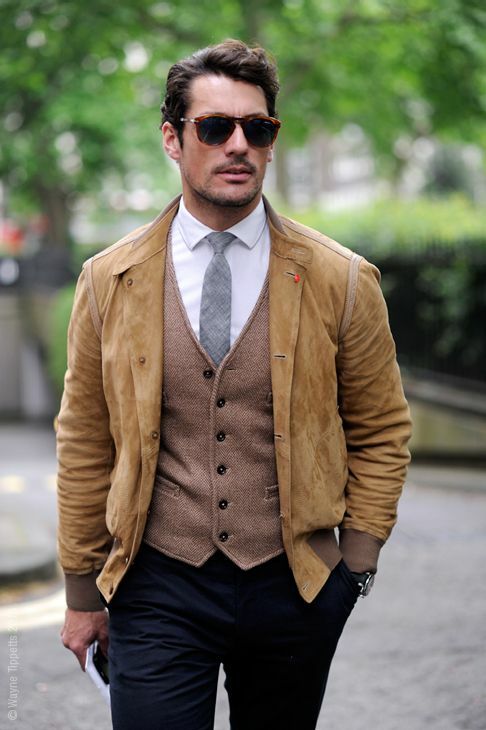 Tan leathered jacket, brown vest, light colored dress shirt, and a colored tie with dark pants to achieve that edgy-look. 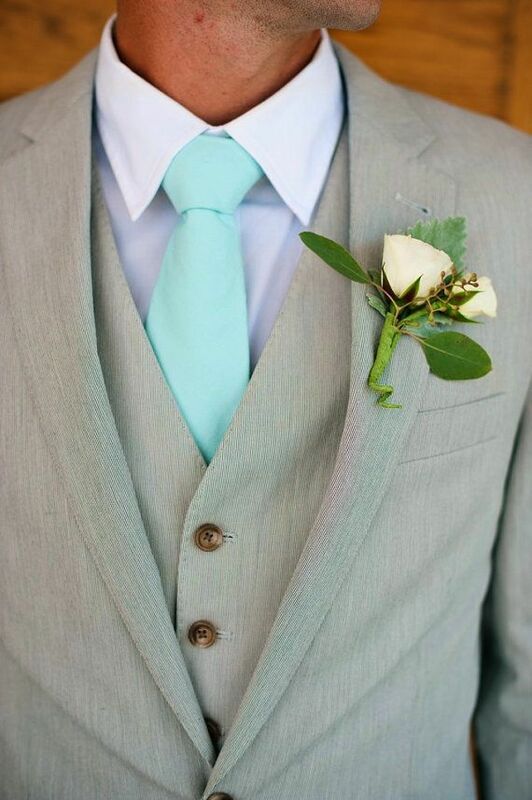 Mostly used for weddings, get a white dress shirt, a light blue tie, and a jacket with a vest the same color, and you’ll look absolutely stunning. Sport a tan jacket on top of a denim dress shirt with some sunglasses and girls will be taking a second glance at you and your outfit wear. 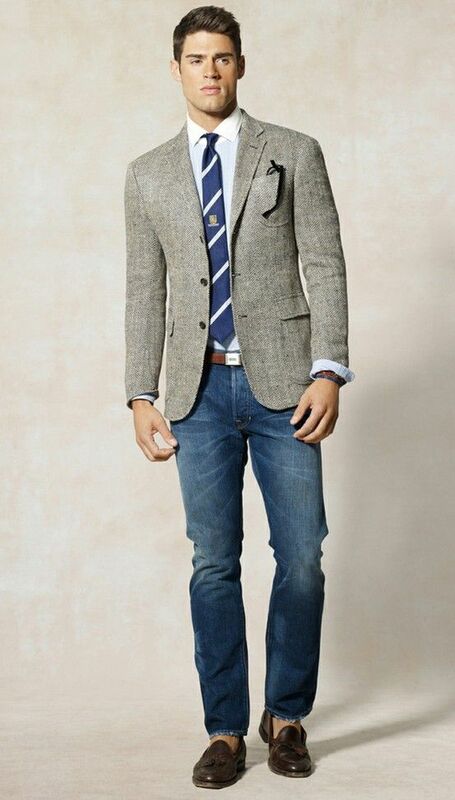 A gray tuxedo jacket with jeans and a blue tie that matches the color of the jeans will look quite edgy and country. 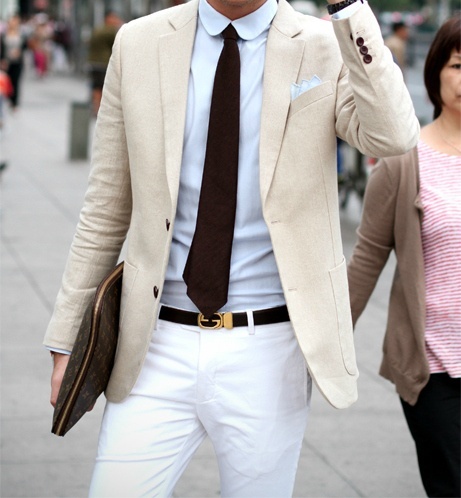 Go for it if you want that sweet mix between formal and casual. A very classy look – a light colored tuxedo jacket with a white dress shirt, pink tie, and pink pocket square, this outfit wear will make you look like the CEO of a major company. Go for a classy, celebrity/business style look with a light colored tuxedo jacket, a white dress shirt, and a black tie. Good with either white or dark pants, but be sure to get a nice dark looking belt to match the tie. 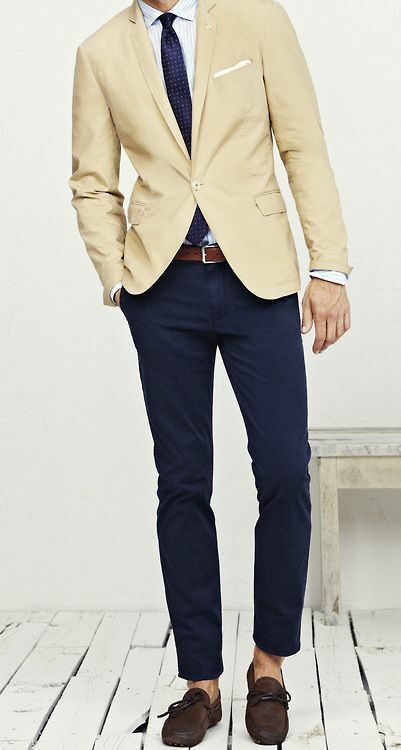 A nice classy, business style look, this light colored tuxedo jacket, blue pants, and a blue tie that matches the pants will make you look classy, stunning, and powerful. A nice, cool, edgy look, this outfit idea is great for cold weather. 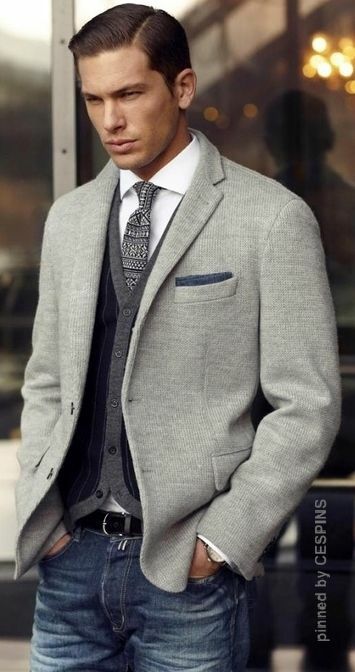 A light gray cardigan/jacket with a design matching that of a tuxedo jacket, a gray vest, and a gray tie will make you look wealthy. Go for a nice, business style, wealthy look with dark pants, a light colored tuxedo jacket, sunglasses, a white dress shirt, and a tie that matches the pants (or semi matches). Which outfit style do you like the best?